We realized that a systems trading platform was useless without the tools necessary to analyze, organize, and simplify vast amounts of data. 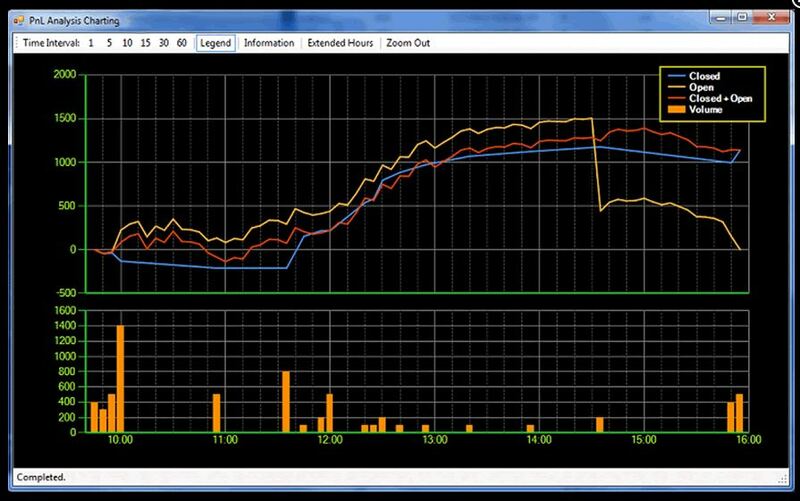 Primus Reporting is a robust trade analysis program that allows traders to decipher this data and effectively analyze both automated trading (backtesting and live runs) and non-automated daily trading performance. Primus Reporting is the ideal companion to PrimusTrade. 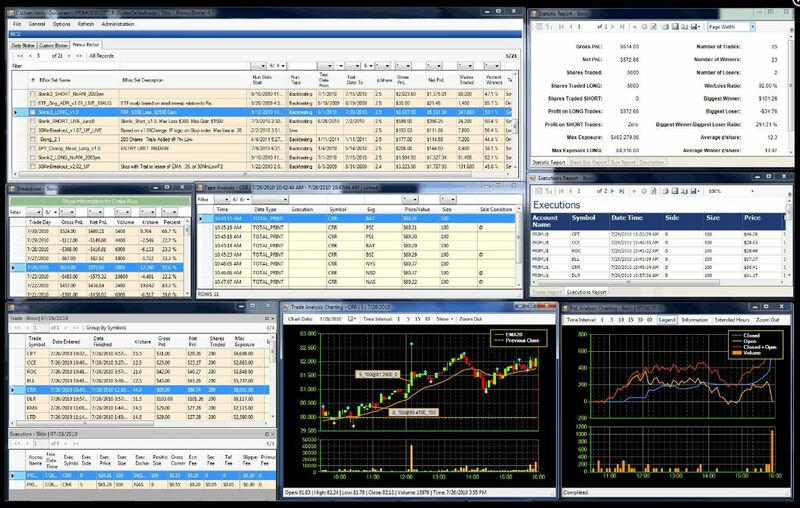 Every backtest and Live trading run is automatically logged in the Reporting database where users can see a statistical summary of performance or analyze individual trades. We realize that developing a successful strategy requires analyzing and tweaking numerous variables. As such, we’ve designed Primus Reporting to maximize the efficiency of this process and, in many cases, provide time-saving shortcuts in the development workflow. Combine multiple runs or black boxes to view aggregated performance. 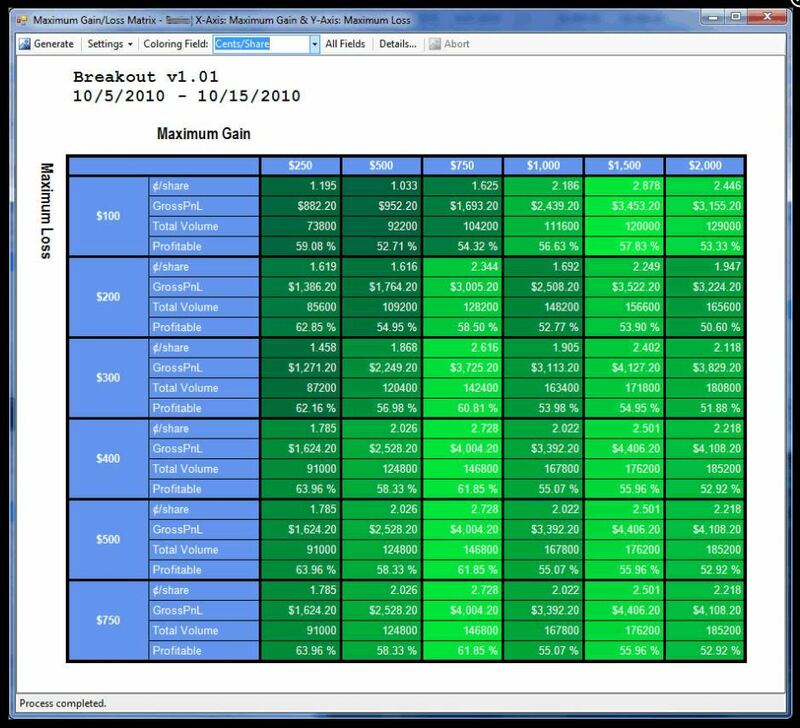 Designed by professional day traders, Primus Reporting may be used by traders and their supervisors to assess daily, weekly, and monthly discretionary trading performance. 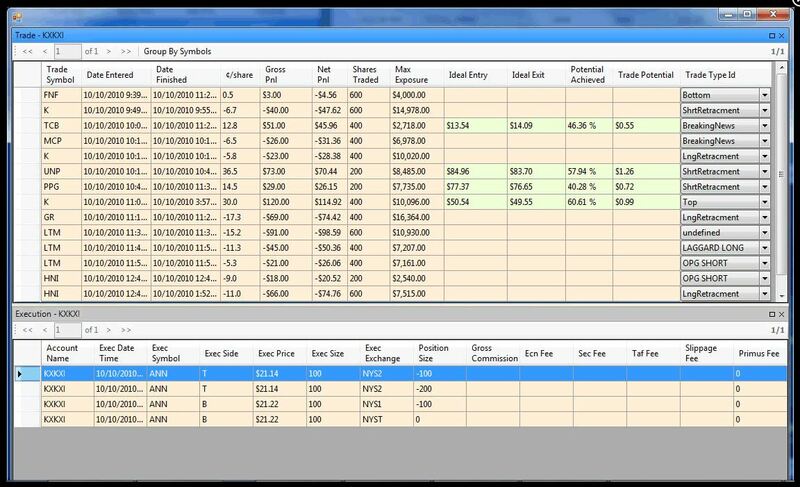 Traders may enter stock statistics to demonstrate ideal entry and exit points for individual trades and tag each trade with a trade-type or classification. 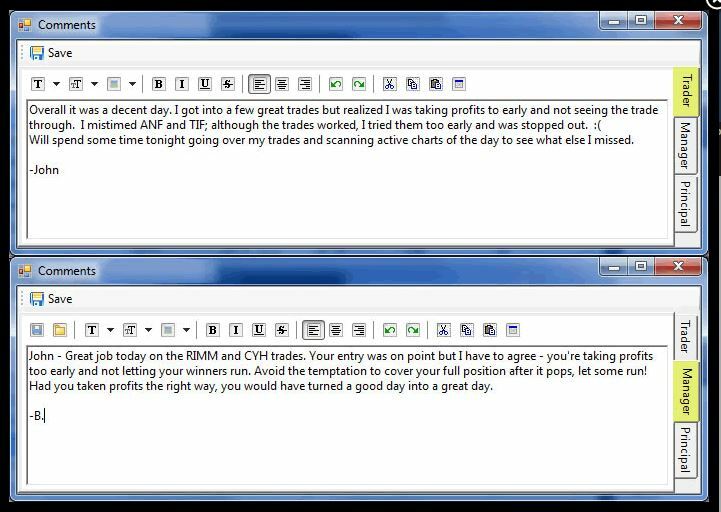 The Tape Analysis window automatically generates time-and-sales data at the moment of entry and exit so that traders can effectively reevaluate their trades. 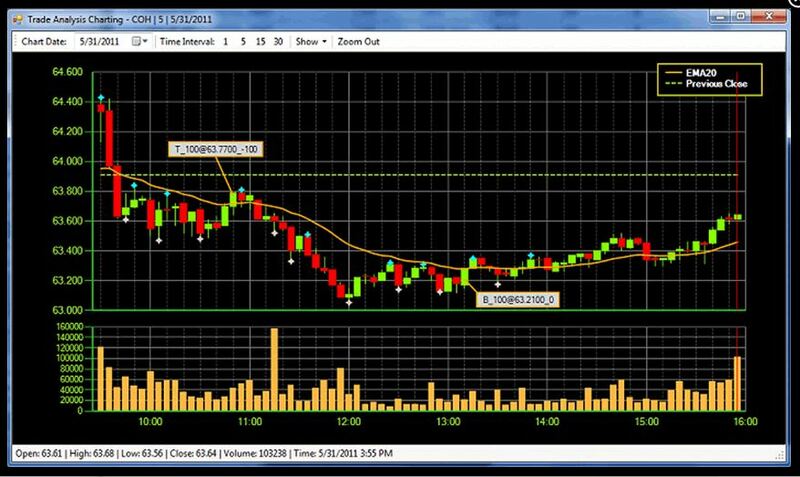 Trade Analysis Charting shows traders customizable interval charts, clearly displaying a given trade’s entry and exit points.